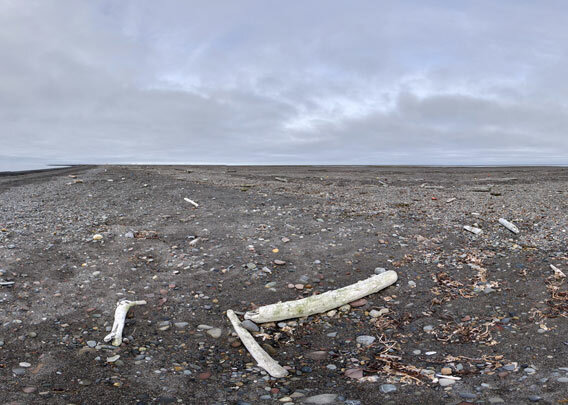 Moffen is a small island on 80 degrees north, which is one of the reasons why it is relatively famous. It is completely flat and not exactly an eye-catcher from the distance. Seawater can reach most parts of Moffen during heavy storms. Most of the area is accordingly vegetation-free. Only near the southern tip, there is an area which is surprisingly green. 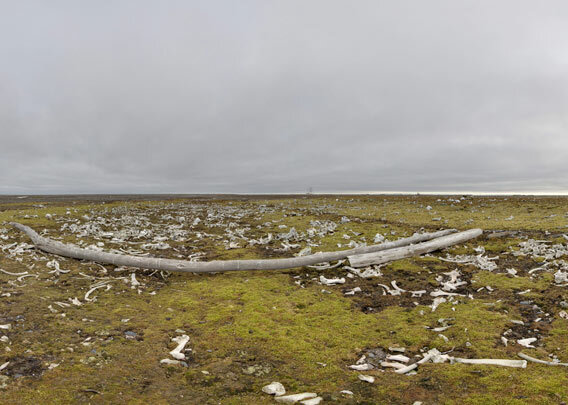 Here, walrusses were slaughtered in large numbers during several centuries. 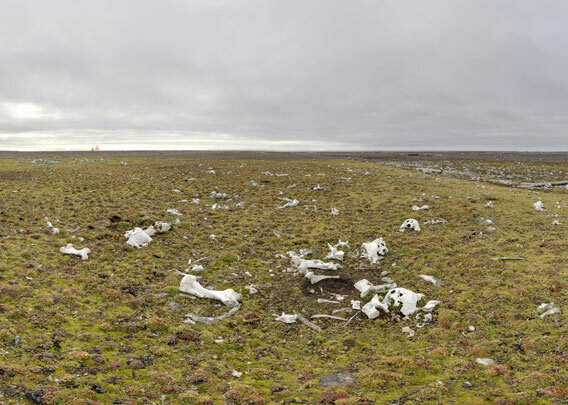 Thousands of bones are bleaching in the sun, and it is not exaggerated to call this place a walrus graveyard. 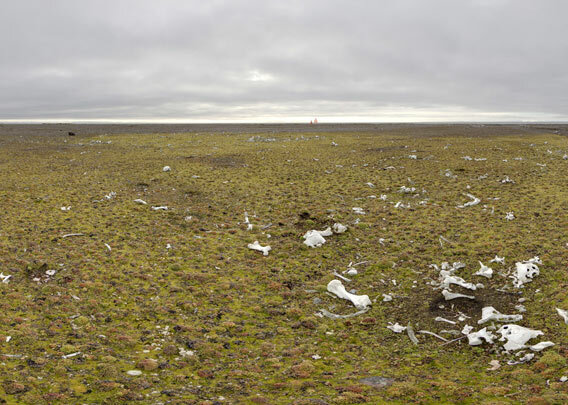 Walrusses were protected in Svalbard in 1952, and since then, the population has been recovering slowly. Walrusses are commonly seen resting on Moffen. During the summer, the island and surrounding waters are protected.